iRacing is getting prepared to deploy the 2019 Season 1 build on December 4. The last build of this year will include lots of new content and some pretty amazing enhancements. 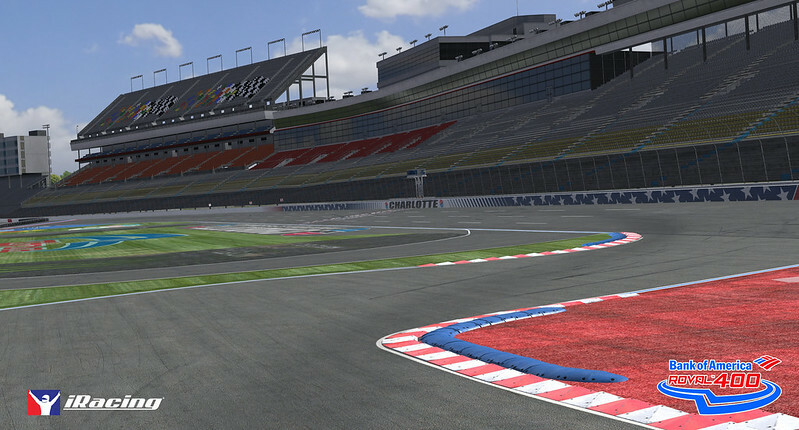 Track-wise, the build will introduce the North American Charlotte Motor Speedway Roval track and the Japanese Tsukuba Circuit as free content for all iRacing members. Today, iRacing.com published a little video showing us some footage of the laser-scanned North American Charlotte Motor Speedway Roval track. When the Charlotte Roval is made available it will show as an all-new track – the old Charlotte will be renamed to Charlotte Motor Speedway 2016. The entire track surface is new and derived from a fresh laser scan that we collected earlier this year – this includes the infield portion as well as the NASCAR oval. The new pavilion and pit road suites have been added to the artwork and you will also notice the NASCAR turn 2 grandstands have been removed and scenery outside the track has been updated – the Dirt Track at Charlotte and drag strip are visible for example. Initially, only the Roval layout will have the updates but we will be updating the oval layout to these standards in phase two. The Roval is a 17-turn, 2.28-mile track that utilizes nearly the entire NASCAR oval, plus a brand new infield section. If the competition on iRacing is anything like the debut NASCAR races, it will be an action-packed facility! The original version of the Charlotte Motors Speedway and its road course will remain available and in the base package. iRacing.com Motorsport Simulations, headquartered in Bedford, MA, was founded in September of 2004 by David Kaemmer, co-founder of Papyrus Racing Games, and John Henry, principal owner of the Boston Red Sox. The iRacing mission is to create the world’s leading and most authentic PC-based racing simulation and grow a new branch of motorsport through real-time, online competition. Official races, special events, league races, and practice sessions are all hosted on the service’s servers. The service simulates realistic cars, tracks, and racing events, and enforcing rules of conduct modeled on real auto racing events. The iRacing Online racing platform went public on August 26, 2008, and it is fair to say that a lot has changed since those early days.